As a B2B service provider, you work hard to provide great service to your clients. But what happens when you make a mistake? When that one task slips through the cracks? That one email your client is waiting on is late? Or worse – what happens if your client experiences an issue that you don’t even know about? The good news is that you’re not perfect, and your clients don’t expect you to be. But following a service issue with a half-baked resolution can be damaging to your client relationships. What’s more, a well-executed service recovery can do more to elevate your client relationships than a flawless service experience itself. So where’s the line between “damaging” and “doing more” with service recovery? And how can you set a process that creates the latter in your firm? Below I’ve outlined a 10-step framework that the ClearlyRated team lives, eats, and breathes when it comes to recovering from a service failure. The framework is a mantra we preach internally and that we share with clients to help them create a culture of service excellence in their firms. We are excited to share it with you today – and encourage you to “steal” any and all ideas within! Whether it is or it isn’t – it is. Before ever engaging with a client who’s experienced a service issue, this mindset will underwrite the success of your recovery effort. By adopting the old school (yet effective) “the customer is always right” mentality across your team, the rest of your recovery efforts will naturally align. These words can go a long way (both with an angry family member and with an angry client) towards demonstrating remorse – a well-received emotion by someone you’ve let down. Keep in mind that the timing of your apology is equally important as the words themselves. Follow up as soon as you receive a complaint. The longer you wait, the more time they have to build frustration. It’s intuitive to want to shelter yourself and your team from blame – but remember Step 1: it’s still your fault. Don’t allow defensive narratives to drive your conversation with the client or internally with your team. This can range from minimizing the issue to painting the client as being overreactive to not taking responsibility. At the end of the day, anything that pulls you away from being a compassionate advocate for your client will result in a haphazard service recovery. Telling your client why something happened doesn’t change the fact that it happened. Chances are, they don’t care why it happened, they want it to be fixed. Don’t use the circumstances of the service failure as a crutch – prioritize the conversation around what you can do to help the client resolve the issue. It’s a short statement that accomplishes so much. You’ve apologized, taken responsibility, expressed empathy, allowed them the right to be frustrated and assured them you’d fix the problem. This step is the crux of the service recovery framework… in order to make things right you have to resolve the issue that caused them to be upset in the first place. What’s more, you should be transparent about how and when you plan to fix the issue. Providing your client with specifics about how you’re (already) solving the problem ensures them you have a triage plan in place and are on top of making things right. This seems obvious, but you’d be surprised how often this step is missed. Your service recovery has to be bigger (and significantly bigger) then your service failure. If you missed the deadline by a day, recover like you missed it by a week. If you made a small mistake, you need to recover like you’ve made a huge mistake. This may seem like overkill, but the client will clearly see your dedicated efforts towards making things right and will feel supported the whole way. Understand that a service issue has human consequences. Perhaps by dropping the ball, your client’s internal credibility was damaged. Perhaps you blew up their day or week with the inconvenience you’ve caused them. Find a way to apologize at a personal level. You’ll be drawn to demonstrate issue resolution at the company level, but be brave enough to apologize and own up personally to mistakes that resulted in the service failure. Connecting with your key contact on a human level establishes a personal relationship and can create two-way empathy. Your goal when a service issue happens (especially if it’s significant) is to earn the opportunity to work with that client again. To some degree, you’ve hindered the trust your client placed in your firm – which means there’s a crack in the foundation of that relationship. It’s now your job to earn your client’s trust back and prove to them they can take confidence in their decision to work with you. Making a service mistake doesn’t always have to be a ‘bad thing.’ That’s not to say you should be excited about disappointing a client – but the opportunity you have to nurture that relationship is one you don’t always get otherwise. With service recovery in action, you have a rare chance to demonstrate more intimately what it means to work with your firm, how committed you are to that client relationship, and the lengths you’re willing to go to in order to fix a problem – all things you don’t necessarily get to do when things are going seamlessly right. 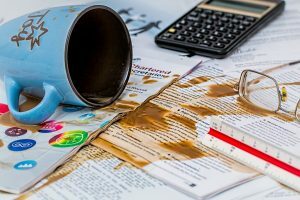 The best way to take the emphasis off the mistake you’ve made is to make the service recovery so memorable it triumphs the issue. Be quick, be transparent, be sorry. Want more service recovery tips? Sign up for updates from ClearlyRated (the form is to your right on desktop or below my bio on mobile). We send periodic research and best practices to our list – no spam here! Read about the “Service Recovery Paradox” and how to boost client loyalty after a service issue in your firm. Revel in my CEO’s shameless transparency about the pitfalls of not taking action (Fitbits and fitness fails involved). I promise there’s a business lesson in there. Contact our team to learn how ClearlyRated can help your firm boost reputation and differentiate on remarkable service through the power of NPS® (we swear it’s possible). Or to just chat – we love meeting new folks who are passionate about service excellence!